1. Prime the eyelids (I have used Urban Decay's Primer Potion) to help the eyeshadows latch on to the skin better and stay on longer. Blend a medium-toned warm brown shade along the crease. 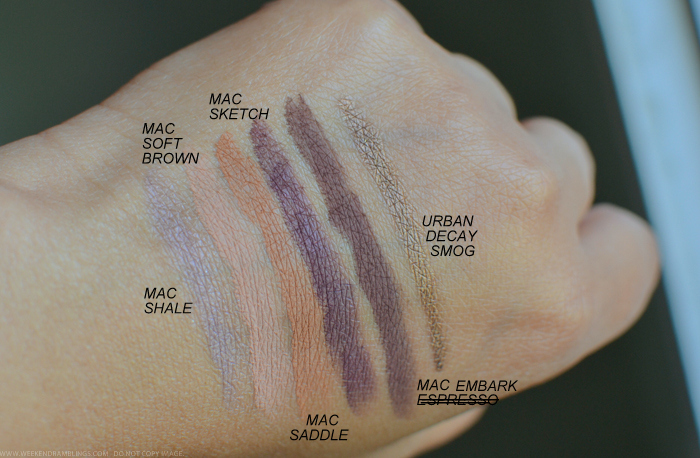 I have used MAC Saddle since that works best for my darker eyelids. 2. 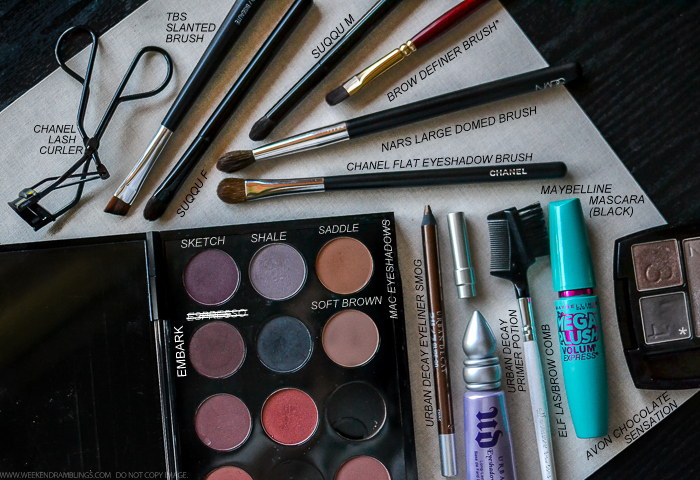 Use a flat eyeshadow brush and pat on MAC Shale along the eyelid, up until but not beyond the crease. 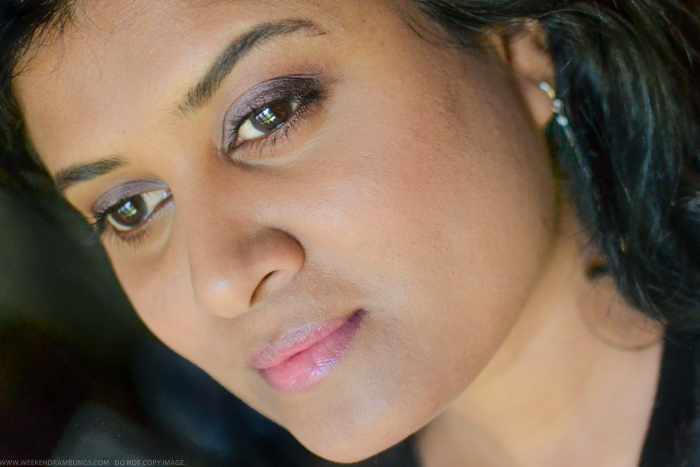 Blend along the edges, into the warm brown eyeshadow that was applied earlier. 3. 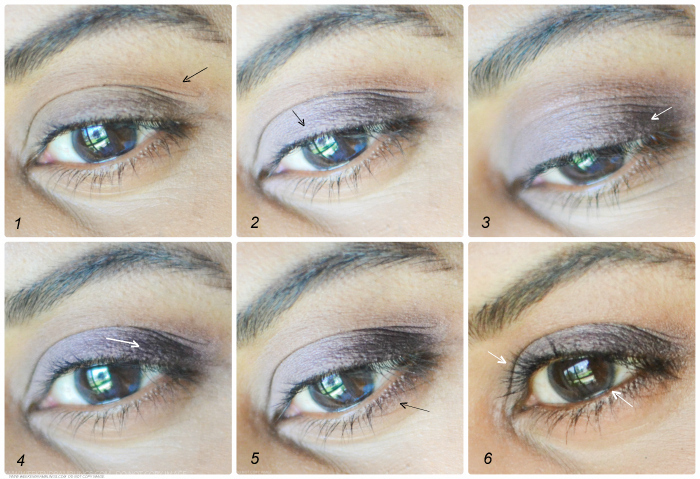 Using a slightly pointed eyeshadow brush, blend a smidgen of MAC Espresso along the outer corner of the eye. 5. Using a thin angled brush - I have used TBS Slanted brush - apply MAC Sketch close to the lower lashline, keeping the color towards the outer half of the lid. Using the same medium-toned warm brown shade used along the crease in step 1 (MAC Saddle) and a smudger brush, blend this darker color towards the inner corner. This will take off the harsh line and leave a softer haze along the lashline. 6. I am quite used to applying a dark eyeliner along my lower waterline but wanted something lighter (and less prone to smudging with the heat), so I opted for a bronze-brown eyeliner instead. I have used Urban Decay's Smog 24/7 Pencil Eyeliner. Finish with a black mascara for the upper and a bit on the lower lashes. I also used MAC Soft Brown on a fluffy shadow brush to blend the edges of the eyeshadows along the crease and smooth out the brow bone area. And here's the finished makeup look. 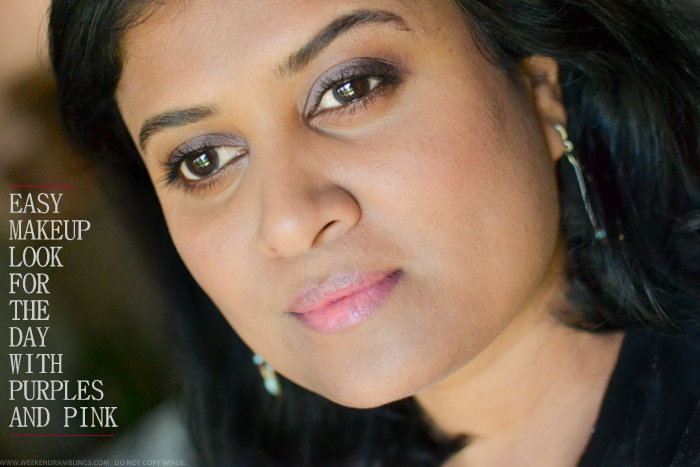 I usually go for a peach-coral lipstick with purple eyeshadows but on a whim decided to use Chanel Rouge Coco Shine Saga - a slightly sheer soft pink shade. 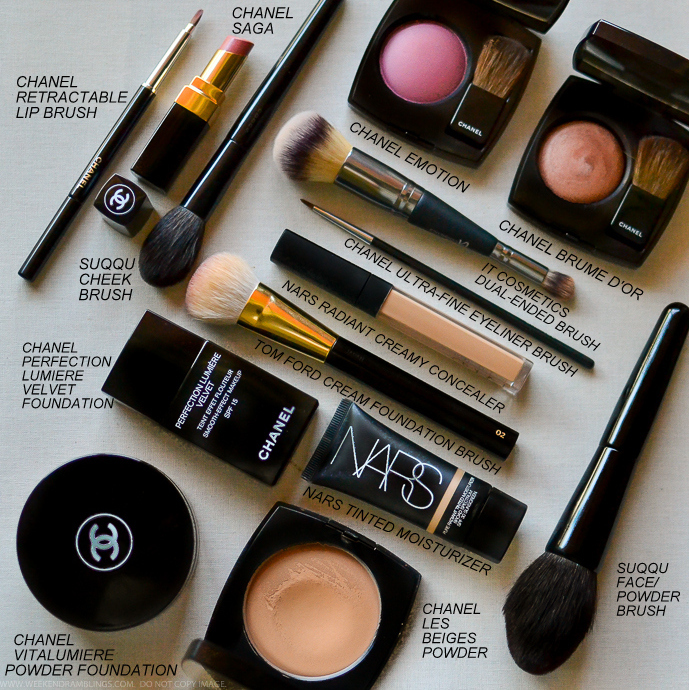 For the cheeks, I used a mix of warm brown - Chanel Brume D'Or - and a more pink Chanel Emotion. My foundation routine has been a bit of a mess. I have used Chanel Perfection Lumiere Velvet (lovely finish - a bit too pink) mixed with NARS St. Moritz radiant tinted moisturizer in these photos, but it's not the best shade match in real life (I use Urban Decay Naked Skin Beauty Balm mixed with St. Moritz for non-blog makeup). Belated happy birthday Rads and trust me it is good to see you back ..
so keep them coming and all the best for everything .... is this how we say ?? It's nice to see you posting again!